This is really cool! Today, Mayor Bill de Blasio is set to announce that New York City public schools in future will observe both Eid al-Fitr and Eid al-Adha, recognizing Muslim holidays the way that Jewish and Christian holidays have been formally recognized for quite some time. The city population who will feel personally recognized by this gesture is significant. 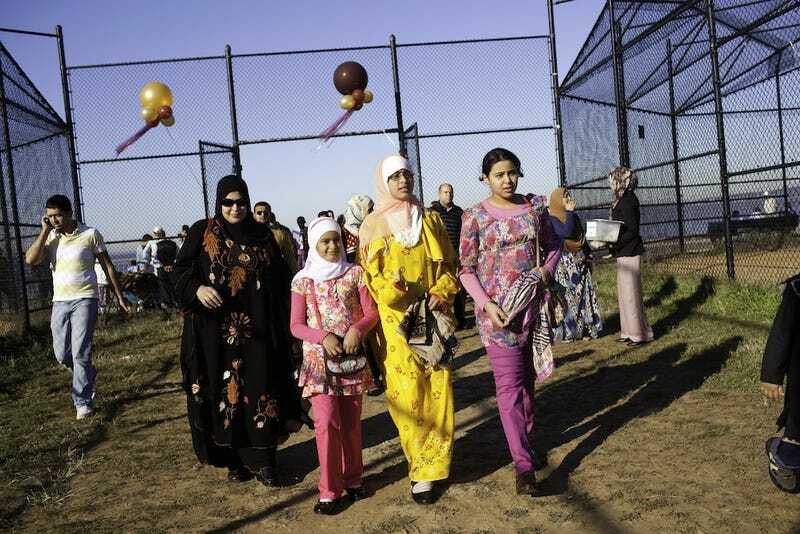 According to the New York Times and a Columbia University study: there are up to one million Muslims living in New York, 95 percent of Muslim children attend public schools, and about 10 percent of the NYC public school population is Muslim. It's about inclusion, and it's about New York City and pluralism and being able to have a child say—a non-Muslim student say, I'm home today because I'm—you know, because it's a Muslim holiday, and being able to understand what that means and recognizing their fellow classmates. And there are districts in New York City like mine in South Brooklyn where almost 50 percent of the whole school is Muslim. So on Eid, 50 percent of the students are not there, and the principals have supported us. And in 2009, 50 of 51 city councilmembers also supported our call. [...] So we think it's a gesture from New York City to say, we embrace and recognize the American-Muslim community here in New York City. Because both holidays depend on the Islamic calendar—Eid al-Fitr marks the end of Ramadan, Eid al-Adha the end of the Hajj—their shifting placement will no doubt confuse teachers and students and administrators for years to come. Eid Mubarak to us all, buddies! Eid in Brooklyn, photo via Getty.